easyfundraising retailer Hive.co.uk is making it so easy for customers to be charitable this Father’s Day. When you shop at Hive.co.uk you can raise up-to 4% donation for your charity or good cause. Plus, by shopping in this way you can also support your local independent bookshop, this means that not only are you raising money for a good cause, you’re also helping to support your high-street too. 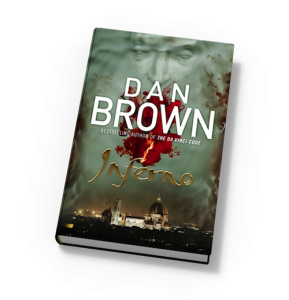 Dan Brown’s new novel, Inferno, features renowned Harvard symbologist Robert Langdon and is set in the heart of Europe, where Langdon is drawn into a harrowing world centred around one of history’s most enduring and mysterious literary masterpieces. Did your Dad love Dan Brown’s previous novels The Lost Symbol and The Da Vinci Code? Why not treat him to the latest thriller released from the #1 bestselling author. “Bond, James Bond.” To celebrate 50 years of this innovative franchise, EON Productions opened their archives of photos, designs, storyboards, and production materials. The result is the most complete account of the making of the series, covering every James Bond film ever made from Dr. No to the latest 007 adventure Skyfall. A fantastic keep sake gift perfect for Father’s Day! Everyone has a story to tell… and have you ever wondered just how well you really know your Dad? Life is a fascinating journey and some aspects are often shared with others, however most stories and moments are never recorded. 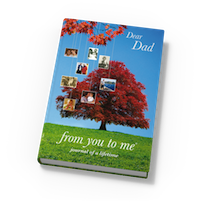 This Journal is full of around 60 wonderful questions carefully designed to inspire every father to tell his personal story. The perfect gift from the little ones! I love my daddy, yes I do he’s very kind – and funny too. This book celebrates the bond between father and child. Portrayed with humour and charm, this is a picture book to be loved and shared time and again. 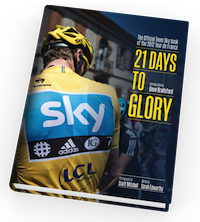 The official, illustrated, insider story of how the 2012 Tour de France was won, from Team Sky. With stunning photos from Scott Mitchell and exclusive interviews with the main players this is a must-have for all cycling fans. This year marks the sixtieth anniversary of the first ascent of Mount Everest. 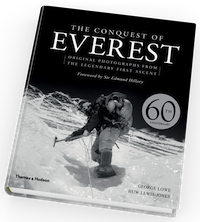 The allure of Everest remains undimmed, and the publication of this unique book celebrates this most majestic of mountains, with exclusive access to the photographic imagery and private archives of celebrated climber and photographer George Lowe, the last surviving member of that triumphant expedition. 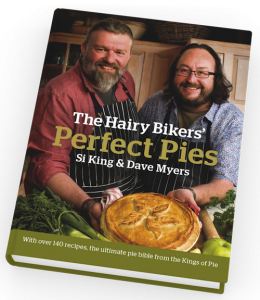 This is the definitive Pie Bible from the Kings of Pie, The Hairy Bikers. In their culinary homecoming, Si and Dave celebrate a dish close to their hearts. This beautifully illustrated cookbook brings together the Great British classic in 150 brand-new recipes. A great gift for Dads who love to cook! 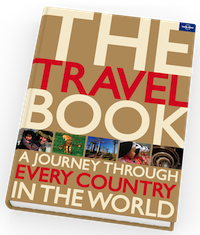 With the traveller’s experience at its heart, this book shows a slice of life in every corner of the globe and all points in between, engaging the reader’s senses in an adventure which conjures up the sights, smells, tastes, sounds and feel of our amazing world. If your Dad is keen to explore the globe this international best-selling travel book is definitely one for him! 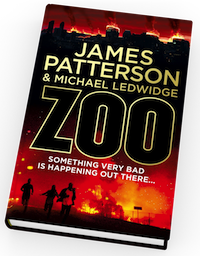 Get Dad the new thriller from bestselling author James Patterson, jam packed full of page turning action. All over the world, brutal attacks are crippling entire cities. Jackson Oz, a young biologist, watches the escalating events with an increasing sense of dread. When he witnesses a coordinated lion ambush in Africa, the enormity of the impending violence becomes terrifyingly clear. 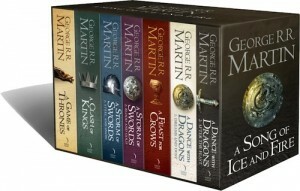 The complete book collection of the HBO’s hit series A Game of Thrones based on George R.R Martin’s internationally bestselling series A Song of Ice and Fire, the greatest fantasy epic of the modern age. If your Dad is a devoted fan of the medieval fantasy series, the gift box collection of books is the perfect present. There is a whole lot more gift inspiration in the complete Father’s Day Guide, so shop with hive.co.uk through easyfundraising today. There’s also free standard delivery on orders over £15 or alternatively you can choose to collect your purchase from your nearest Hive bookshop at your convenience, simply use the handy Hive.co.uk store locator.